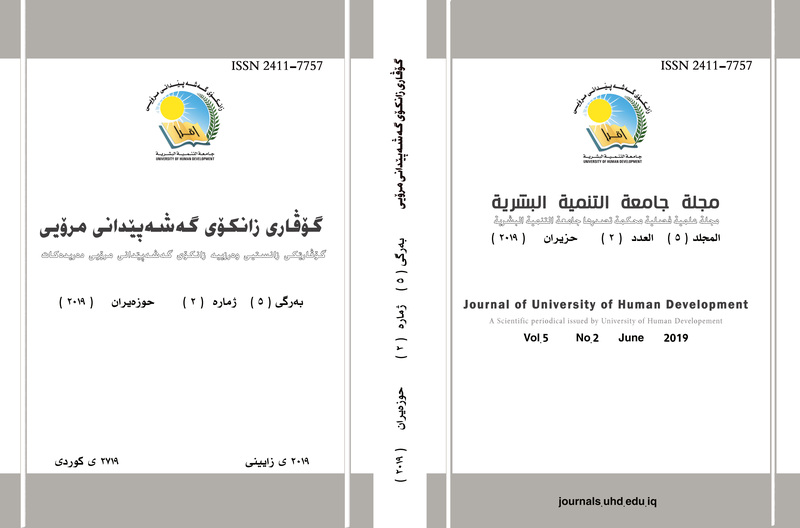 Journal of University of Human Development (JUHD) is an academic journal published quarterly by the University of Human Development with e-ISSN: 2411-7765, p-ISSN: 2411-7757. JUHD has LOCKSS and CLOCKSS Archives. JUHD is a Double-Blind Peer-Reviewed Open Access journal with Creative Commons Attribution Non-Commercial No Derivatives License 4.0 (CC BY-NC-SA 4.0).